Oh Brady! Happy first birthday, little man! How I have loved watching you grow over this last year! I’ve loved getting to know his momma, daddy, and his sweet little personality. 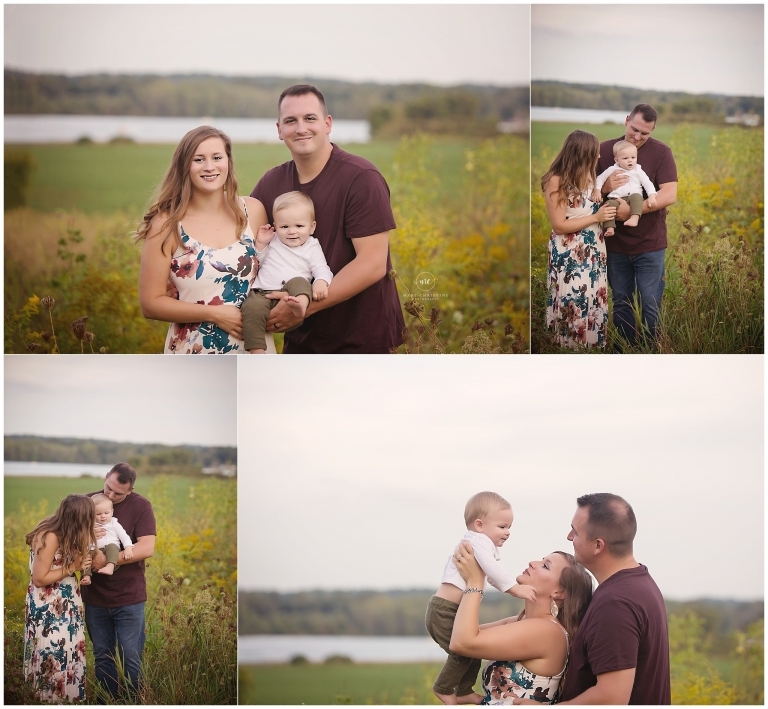 It’s crazy to think that it’s been over a year since we first met for their maternity session! And to finish this year off in style, with one of my favorite cake smashes to date. What do y0u get when you combine a gorgeous sunset, an adorable baby, and a few white decorations? First birthday magic, my friends. So if you are in need of some serious cuteness today, keep scrolling down. It only gets better from here! 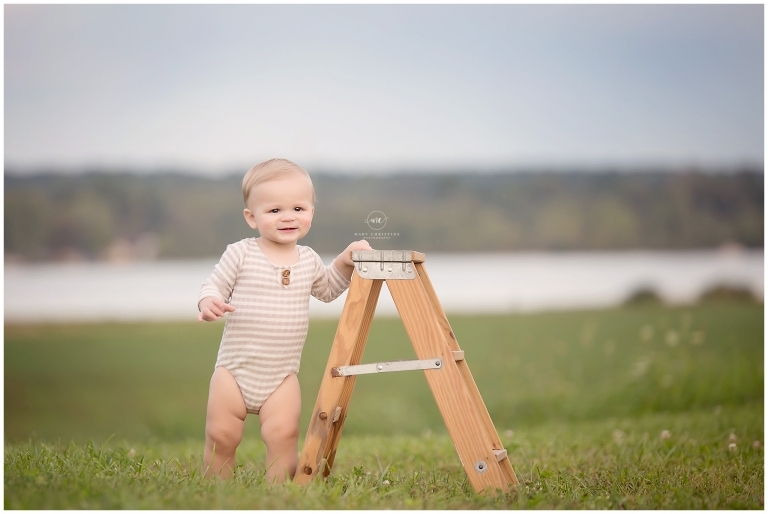 We went to a new location for Brady’s first birthday session. Safe to say it’s now my favorite. I discovered this park when I was out with my sister for an early morning bike ride. The sun was rising over Chippewa Lake here and it was just stunning. In fact, I made her turn around and ride into the parking lot with me so I could scope it out. When I returned in the evening, I found the sunsets here are just as gorgeous. So it turns out my triathlon hobby helps my professional side as well! I love how his little rolls are peeking out of this onesie from Baby Bliss Props. Oh how quickly those go away! I sound like a broken record, but I will say it again, it’s all about those details! These family photos just melt my heart. I know that their family will grow and change over the years, but this first birthday is so special. 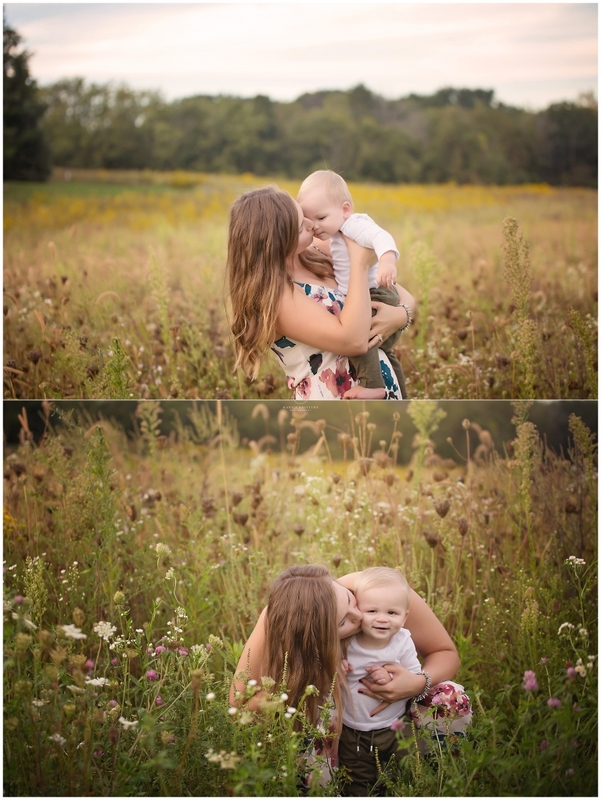 The mommy and me photos get me every time. Love, love, love! Simple baby goodness right here. I love the simplicity and whimsicalness of this whole set. Bring me all the first birthdays! Thank you so much for stopping by the blog! Is your little one about to celebrate their first birthday? I would LOVE to document it for you!